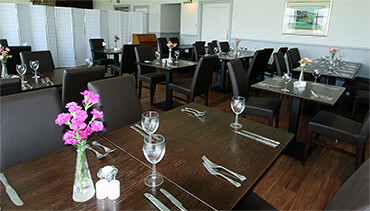 Established in 1889 Lenzie Golf Club is situated at the east end of the Gadloch, Lenzie. The course plays to a current length of 5984 yards with a testing par 69. It offers a variety of tees to suit all levels of golfer ensuring an enjoyable round of golf. The prominent features of our parkland course include old beech trees which line fairways together with thorn hedges and meandering small water courses. The outward 9 offers a chance to score well, a friendly start to the course is compensated with one of the longest back 9’s in the county. We have a great mix of short and long par 4’s offering great variety to the visiting golfer. One of the most scenic holes on the course is the 4th, a par 4 that as you approach your second shot you are greeted with an incredible view of a closely guarded green by bunkers and burn but with the stunning Loch in the distance behind the green. We have one par 5, the 10th hole, often playing with a helping prevailing wind, but caution is required from the tee with a burn in play and strategy is required on your second shot as the burn meanders down the left side if the fairway and up beyond the green. A great risk and reward par 5. There are 4 par three holes at Lenzie, each playing to different points on the compass, ensuring varying challenges depending upon wind direction. 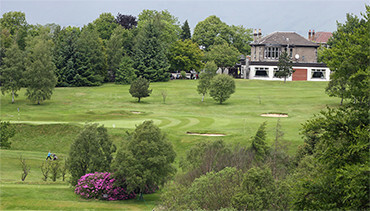 Lenzie is known for its small greens and challenging bunkering, several holes have small inclines to the putting surfaces ensuring choosing the correct club is of high importance. 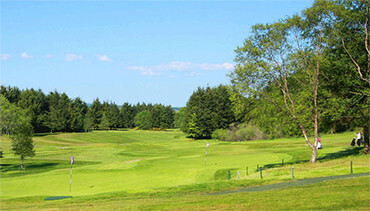 As you end your round you are greeted to the most scenic part of the golf course.Standing on the 18th tee you look down across a vast 18th fairway, to the Loch on your left and the Campsie Hills beyond the clubhouse behind the 18th green. But don’t get too comfortable, despite a large fairway, out of bounds runs down the length of the left hand side of the fairway. Many a card has been ruined from the last tee.